I've been meaning to write this down for a while now. 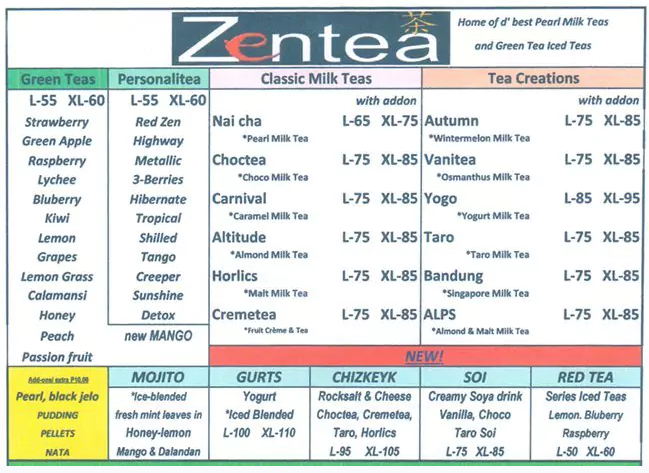 Don't you think Zen Tea's menu is quite inefficient? At least its PersonaliTEAs column. It irks me to look at a list of tea concoctions with random names and no description of ingredients. I mean, "Highway", "Metallic", "Shilled", "Creeper", would you be able to guess what's in them? Nah-uh! Or maybe customers aren't supposed to ask? Maybe you have to base it on your mood for the day? Like, "Oh, I wanna take a road trip today. Can I get one Highway please? I don't care what's in it, just make one for me." Or "Oh, I got this stalker following me all week. Can I get a Creeper?" Whenever I visit their shop, I'd have to constantly ask the counter guys to explain to me what the three berries in 3-Berries are. For all I know, there could be tomato in it. Yes, hun, it's a berry. 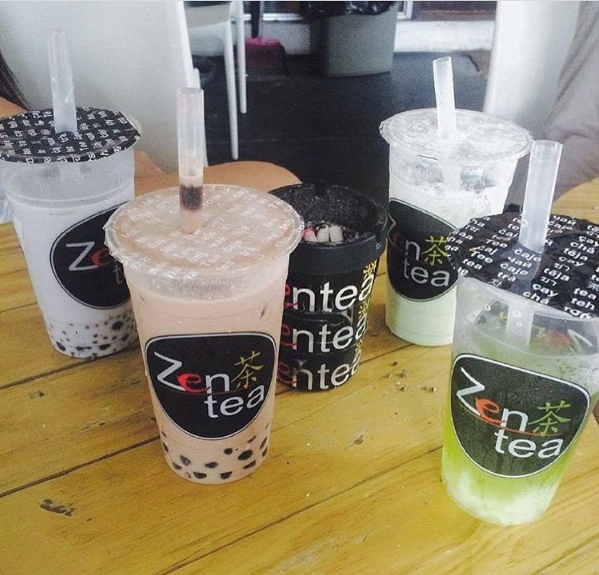 And I wouldn't wanna taste a tomato-cucumber-eggplant tea drink yet. Yes again, hun, they are all berries.